It is an unmistakable quality: executive presence. What women’s names would come up at your table discussion? And what is it about her that gives her that presence? i would think of Margaret Thatcher because her stoic ability to lead change. Not only was she a strong leader who also happened to be a woman, but also she made no apologies. I admire her for that. Yes, good choice, Julie! 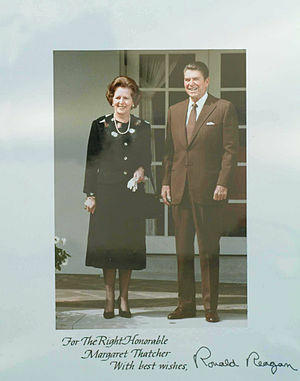 Here is a good source for more information on Margaret Thatcher. Do you watch the show Iron Chef? I immediately thought of Chef Cat Cora. She leads her kitchen in a calm, collected manner but is always searching for perfection. In the male-dominated world of fine dining, she isn’t just out to prove that women can compete, but rather that she is in fact the best regardless of her gender. You are right, Terry, Chef Cat Cora carries herself well — no matter the gender. Exhibiting calm confidence seems to be key to an executive presence. It has nothing to do with size. I’m thinking of tiny women under 5′ who command respect just by sort of owning their space and standing tall in attitude. I can also think of big men and women who loudly try to capture respect, without success. Great article! Number 6, was especially appealing. I knew tone was important but not as much as “strategy”. Who knew that when to smile and when not to smile would be so important. Yes, 1abo. knowing when not to smile is a strategy I will have to be mindful of. This is one more way to be able to communicate my message effectively, right?